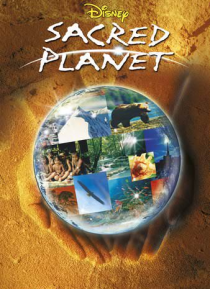 SACRED PLANET is a journey away from the hectic "world" we live in. Through stunning cinematography, it transports you to some of the most fascinating, exotic, and remote sites on Earth, giving you new insights into her diverse landscapes, peoples, and animals. You'll be mesmerized by the beauty of these all-but-forgotten faraway places, the majesty of the creatures who live there, and the wisdom … of the elders who hold the knowledge of the past. This magical around-the-world odyssey is an awe-inspiring wonder the entire family will enjoy.